Hello, my name is Sarah Hatton. I returned to Scotland in 2004 after practising as an Occupational Therapist for 15 years as well as leading a Mental Health Assertive Outreach Team. I moved to Brig O' Turk, near Callander in 2006 to set up my company Thriving Minds Ltd for two reasons. Firstly living in rural Scotland, I noticed that mental health services were limited and lacked continuity, finding an Occupational Therapist proved very difficult. Secondly with the emphasis on vocational rehabilitation in Scotland and the current climate of increased insurance and private health claims, I felt my company could make a difference. I have worked in adult mental health services in hospital, forensic and community settings. I have specialist knowledge in assessment and rehabilitation of clients and families with short term and chronic illness such as anxiety, depression, psychosis and schizophrenia. Many clients experience physical and addictive issues that reflect the holistic approach offered. I have a particular interest in practising cognitive behavioural therapy (CBT) techniques. I am a skilled case manager working with insurance companies and solicitors rehabilitating clients who have experienced accidents at home, work and on the road.This has involved working with orthopaedic and head injuries as well as dealing with post traumatic stress symptoms. I have now expanded my experience and research to assess and treat cases of adult dyspraxia. Sarah is a qualified AMPS (Assessment of Motor and Process Skills) assessor. 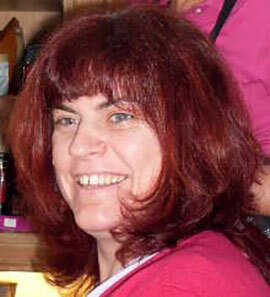 Sarah is also a qualified life coach and mentor and offers a mentoring service to OT's. Thriving Minds Ltd is based in central Scotland, but undertakes work throughout the UK on request. Please find my current Curriculum Vitae for your perusal.